Have you heard about our new program in Tanzania? 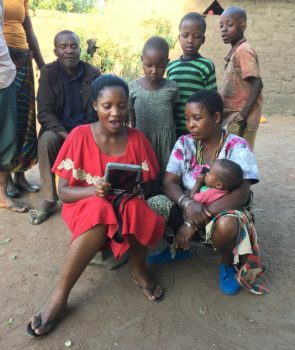 In an effort to expand maternal and child healthcare in Tanzania, we’ve partnered with Health eVillages to provide community health workers with tablet computers. The tablets are loaded with a wide range of content addressing various health conditions and situations. Learn more about the Together for Health program on our website. Also, check out our blog post on Dr. Oberg’s trip to Tanzania where he worked in the local hospital and introduced the tablet technology to villages.